We've been hearing the word superfood for a while now, and hearing some of they're benefits everywhere. it's clear that they're here to stay, and if yu're trying to incorporate more healhty ingredients and improve your health, they're a good option to start with. And whats better time that on the New Year? Here are our top 3 superfoods, some of the easiest to find and the most delicious of all. Baobab powder. The baobab fruit is one of the most nutrient-dense fruit ever: tons of vitamin C, helps the immunity system and it's 50% fiber and has the highest antioxidant content of any fruit, which it makes it great for your skin too. It tastes kind of sour, like a lemonade made of a tropical fruit (a great and organic options is this one). It's also very easy to use, especially when it's in powder form. You can sprinkle it over your cereal, porridge or whatever you have for breakfast and you can also mix it with water, which is one of my favorite ways to have it, and drink it all day. Acai powder. Acai is probably the most well-known superfood and one of the most used (shoutout to all my fellow brunch lovers). It helps digestion, it promotes glowing skin, is full of antioxidants and it can even help with weight-loss. And it also tastes great! The full-proof way to have it is in a bowl: blend a banana, a handful of strawberries, 3 tablespoons of acai powder and a cup of almond milk and top it with sliced bananas, berries, granola, coconut shavings and drizzle with honey or agave syrup. I like to sprinkle a bit of cacao powder on top too. It’s super quick to make and a healthy option when you don’t have an hour to have breakfast in the morning. Maca powder. The maca powder is extracted from a root, and it’s one of the most popular superfoods nowadays. It’s very helpful for helping with hormonal imbalance, especially in women that are suffering the effects of menopause or PMS or even in regulating men’s testosterone levels. It’s also a good energy booster and some researches even say it can help to maintain a positive mood. The best part? It’s delicious and so easy to incorporate into your diet. Like baobab powder, you can add it into your breakfast, mix it in your smoothie or add it into cakes or breads. 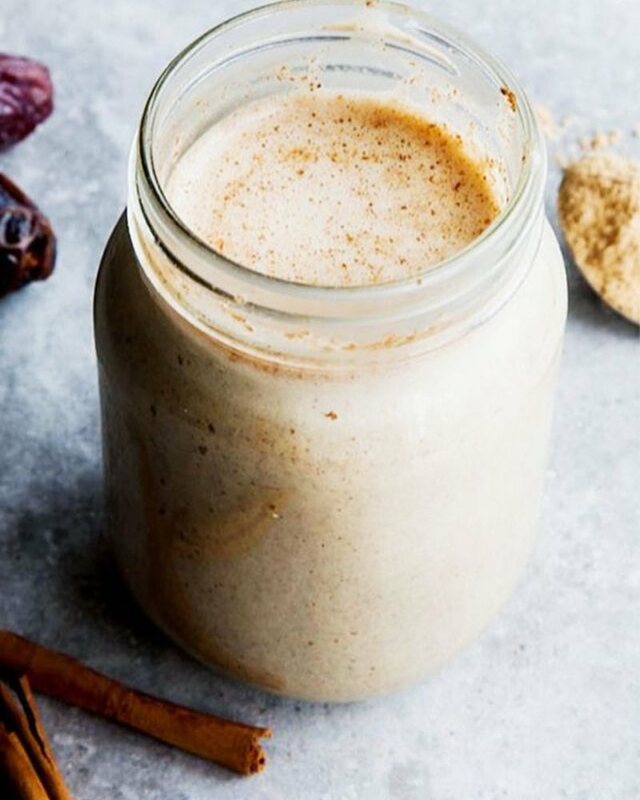 It gives a super yummy taste, sweet and similar to nutmeg or cinnamon. One of my go-to smoothies is made with bananas, cacao powder, almond milk, oatmeal and maca powder like this one.